We are a leading Manufacturer of stepper motor controller for electrical industry from Mumbai, India. We are one of the prominent manufacturers and suppliers of Stepper Motor Controller for Electrical Industry. 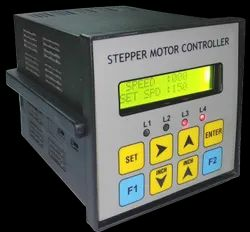 All our products are designed in compliance with international quality standards, using high-grade components and material.The controller also features a chopper drive to get most performance out of the stepper.The provided stepper motor controller is widely used to control the operations of stepper motor.